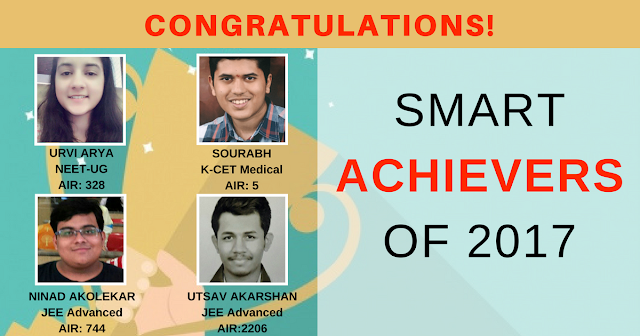 Heartiest congratulations to our SMART achievers of 2017 who had achieved their goal by preparing with simplylearnt.com SMART package. Do you want to know what was their strategies to achieve this goal? Once you are done with your plan then start practicing in the right order which is important as much as the planning. You should always pick up first the “Do or Die” things as without this filter we cannot get expected results not only in studies but, in life, business & everything. Take some daily or weekly challenges to compete with the students from all over India just to analyze your preparation and this will help you to write the actual exam with no fear. If you are wondering to be an Achiever/Topper, then follow these strategies to achieve your goal!